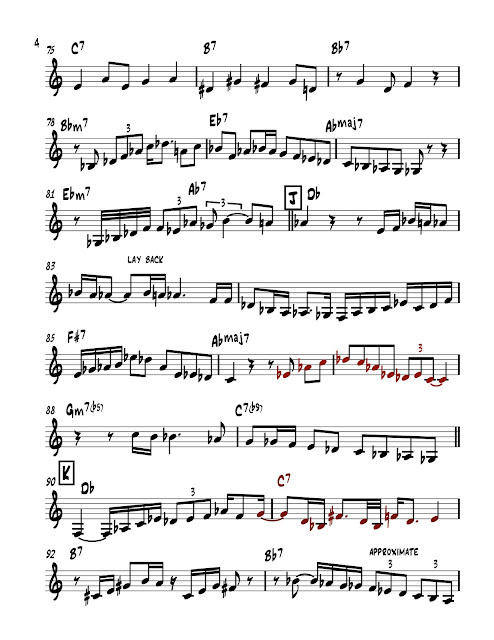 jazztruth: Hank Mobley's Solo on "Remember"
If you are trying to develop your vocabulary as a jazz improviser, you'll want to transcribe from other players, hopefully great jazz players. 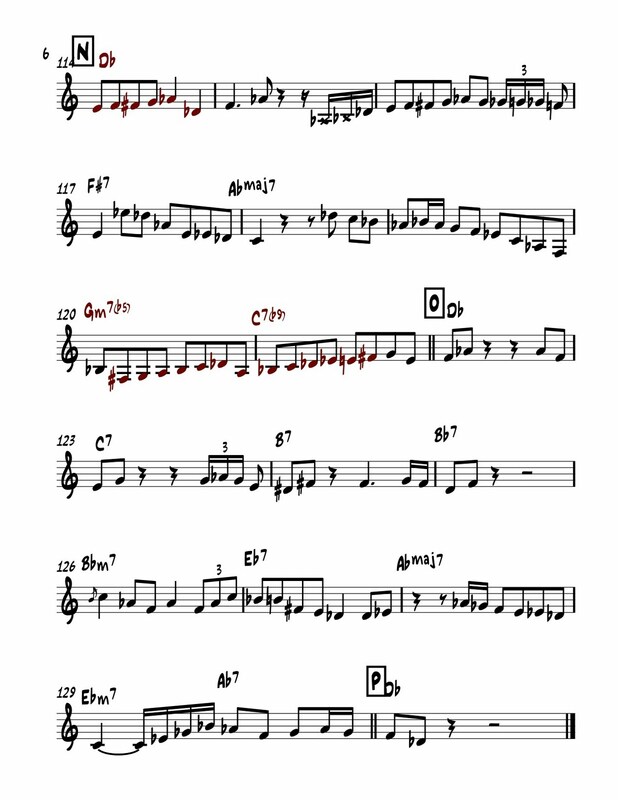 You can do entire solos if you have the time, but you should at the very least take some "licks" from the masters and work them into your own solos. 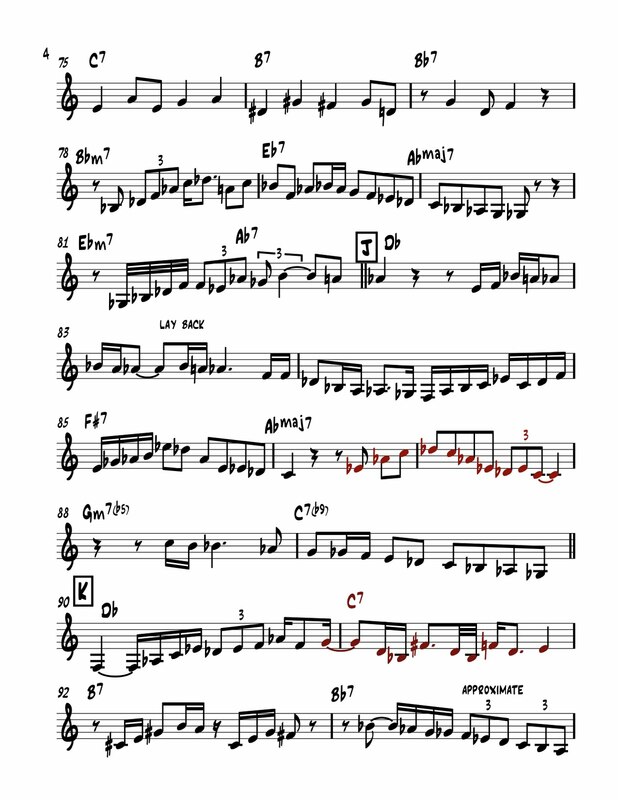 You'll start to see how linear vocabulary works with jazz harmony, and if you really stick with it, it should all snowball into you being able to improvise in a jazz manner. The goal is to have your own sound, or at the very least, being able to "put it in your own words", so to speak. 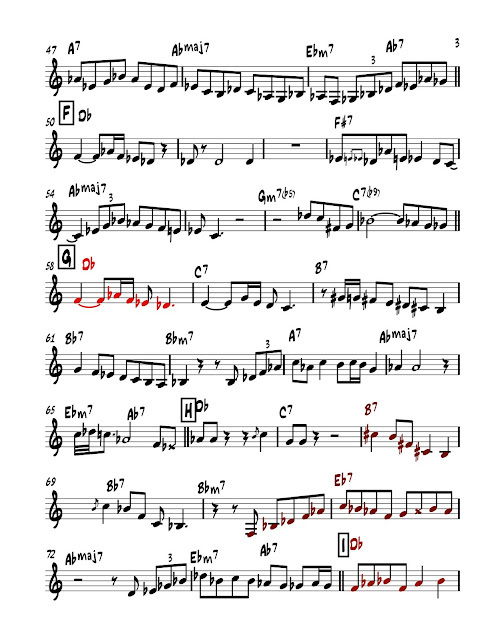 Be that as it may, it can be fun and valuable to transcribe an entire jazz solo. 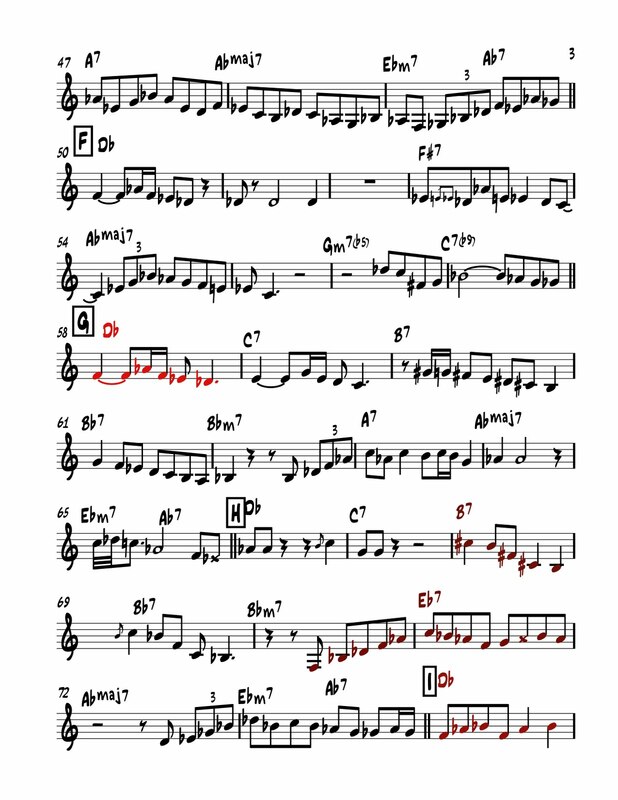 This can give you a sense of the overall structure of a solo, and it's a way for the student to sort of "step into the shoes of a master". I personally haven't transcribed a lot of solos in their entirety. However, I wanted to share one that I did a few years ago. It's tenor saxophone legend Hank Mobley's solo on Irving Berlin's "Remember", from the classic Mobley album Soul Station (with Wynton Kelly, piano, Paul Chambers, bass, Art Blakey, drums). Here is a link to the recording on youtube. I've known about this album for years, but initially, it was hearing drummer Carl Allen sing this entire solo along with the recording that made me want to transcribe it. The whole album is great, and this solo is great because Mobley's lines make so much sense, and they outline the harmony perfectly. I think this is a good solo for students because there are many small phrases which could be incorporated easily into one's vocabulary. I have marked some of these phrases in red. 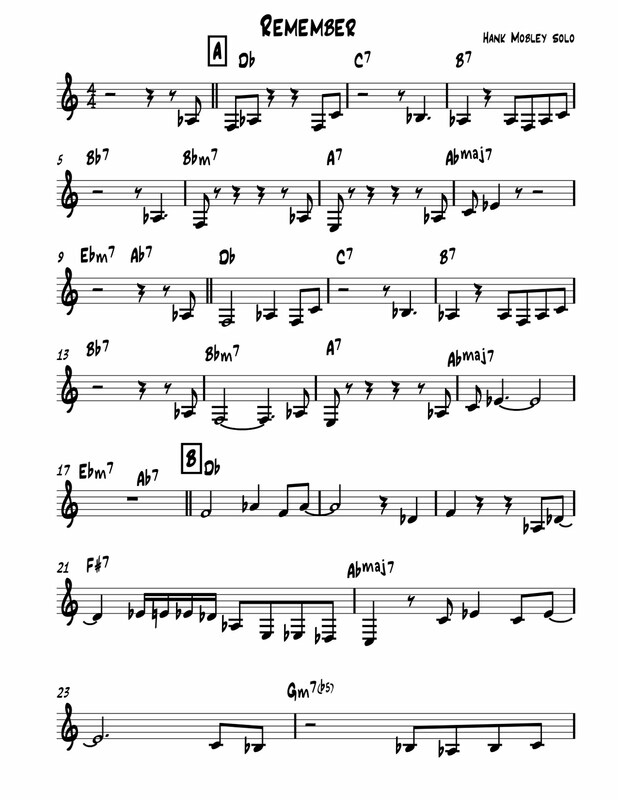 It's fun to just follow along while you listen, but the next step would be to learn to play along with the solo, or maybe take some of the small phrases and transpose them to all keys. Keep in mind, that I am not a saxophone player, so there might be some better ways to notate some of the idiosyncratic aspects of the solo. Also, some of the rhythms I had to approximate, because they were not 100 percent falling into western rhythmic notation. This is why it's good to learn solos by ear first, so that you get the organic rhythmic feel of the artist. The first chorus is obviously the melody of "Remember", with rhythmic interpretation and also some embellishments. Mobley gets right to it with a two bar solo break pick up. There are lot of nice sequences (taking the same idea and repeating it but in a different key), which go well with the descending chromatic chord progression. It's all a really good example of Hard Bop, with a lot of "bebop" lines and some "bluesy" interludes. 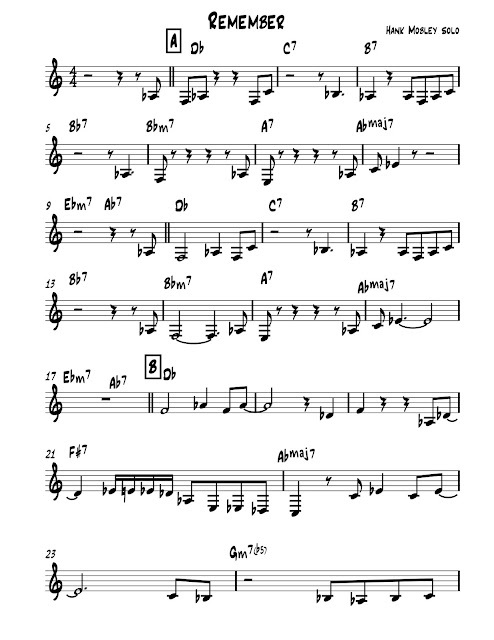 Around letter J,K, and L, which is the second improvised chorus, Mobley implies double-time, but in a complex way, which made it hard to notate. I mused about different options, and went with what you see here. Hopefully it makes sense. Again, it's best to listen to the solo as you read. 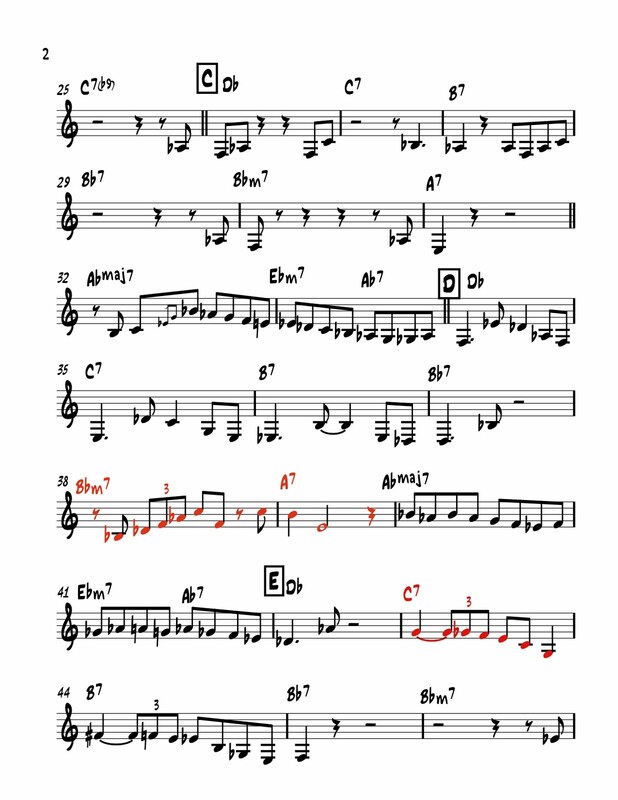 I like how bar 120 and 121 have a nice diminished scale idea that feels really natural. If you see anything that really looks wrong, let me know. I haven't looked at this in a while, and just like the written parts of my blog, I can always use some proofreading. 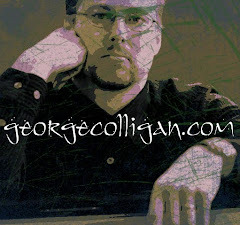 I'm hoping to post more solos in the future, and I'm also hoping to get to some more transcribing this summer. 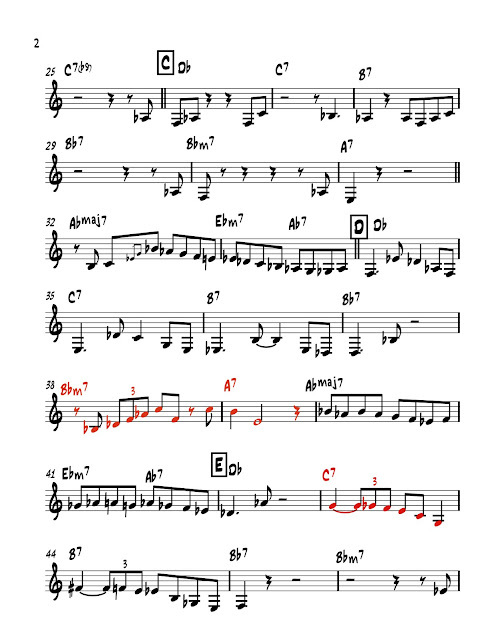 I have a hard time doing entire solos nowadays because I find that I can get a lot of mileage out of even one bar from a masterful solo. But I'll have my keyboard with me on tour, so I'm hoping to get to it. 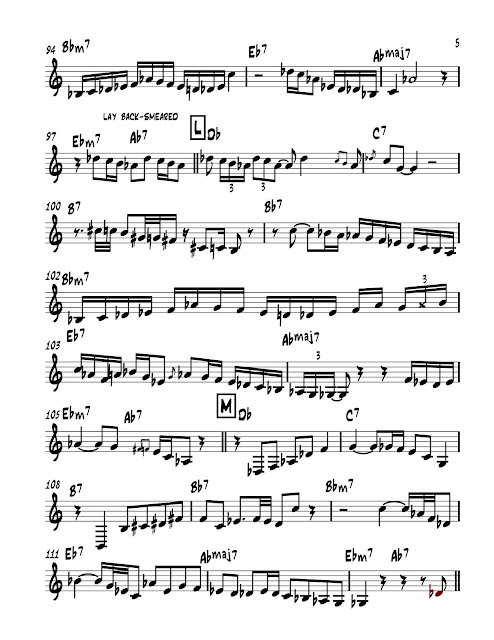 So anyway, here is Mobley's solo, enjoy! Impeccable swing while constructing beautiful flowing lines that address harmony throughout! The first solid evidence against spontaneous generation came in 1668 from Francesco Redi Data Cabling, Structured Cabling, Network Cabling Installation, who proved that no maggots appeared in meat when flies were prevented from laying eggs charm bracelets. The discovery of the Kuiper belt in 1992 led many astronomers to debate whether Pluto should be considered a planet in its own right or part of the belt's larger structure. Tenor saxophone players are few and far between. Hank Mobley's solo is one of the best. Maybe the best. Her public duties were restricted to uncontroversial involvement in charitable work. On the death of Queen Victoria in 1901, Albert Edward became King-Emperor as Edward VII, with Alexandra as Queen-Empress consort. From Edward's death in 1910 until her own death, she was the Queen Mother, being a queen and the mother of the reigning monarch, George V. She greatly distrusted her nephew, German Emperor Wilhelm II and supported her son during World War I. One pagoda is making a huge difference, providing shelter and education for children who otherwise wouldn’t have the opportunity. In order to ensure the safety for students, communal officials have recently arranged communal houses as classes for 46 students from grades 1 to 2. The move has helped reduce the number of absences, he noted. After a quick tour of the girls’ tent, which was slightly smaller than the boys’, though without the smell of cats, Harry, Ron, and Hermione set off across the campsite with the kettle and saucepans. Gillingham F.C. is an English professional football club based in the town of Gillingham, Kent. The only Kent-based club in the Football League, they play their home matches at the Priestfield Stadium. In the 2008–09 season, the club was promoted to Football League One after victory over Shrewsbury Town in the League Two play-off final; however, they were relegated back into the basement division the following season. The club was founded in 1893 and joined the Football League in 1920. They were voted out of the league in favour of Ipswich Town at the end of the 1937–38 season, but returned to it 12 years later after it was expanded from 88 to 92 clubs. Ribose aminooxazoline can then react with cyanoacetylene in a mild and highly efficient manner to give the alpha cytidine ribonucleotide. The Federative Republic of Brazil commonly known as Brazil is the largest country in South America. It is the world's fifth largest country, both by geographical area and by population with over 190 million people. It is the only Portuguese-speaking country in the Americas and the largest lusophone (Portuguese-speaking) country in the world. Lionel Andrés "Leo" Messi is an association football player who currently plays for FC Barcelona and the Argentina national team as a forward or winger. Considered one of the best football players of his generation, Messi received several Ballon d'Or and FIFA World Player of the Year nominations by the age of 21, and won in 2009 and 2010. His playing style and ability have drawn comparisons to Diego Maradona, who himself declared Messi as his "successor". Found no one but living room as a flood. But this time she gave up, telling me strange things in fear.